He's responsible for the famous iT sound and is the number 1 DJ in the iT. 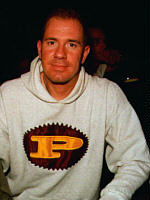 DJ Jean received the prestigious Update Magazine Dance Music Award 1996 for the best Dutch club DJ. His name is Guan Elmzoon, he's 30 years old and living in Amsterdam. Guan started his career as a DJ 17 years ago -- to be exact, at the Geo Club in Rimini during a holiday. He also played in Germany, Spain (Mallorca and Ibiza), New York, Austria, Turkey and of course in Amsterdam clubs: De Schakel, de Bios, de Richter (occasionally), Escape (early and later on at the Hour Power) and Marcanti Plaza. 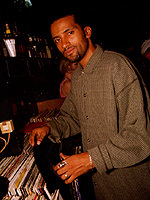 Also he was the resident DJ of the very famous club Bebop, which is now known as the iT. Guan started at the iT in early 1996. Every Sunday he plays a mixture of Garage, Latino-House, Trance Tribal and uplifting club music. It's an evening for music lovers who want to hear the best sounds. As a technical DJ, Guan left his mark at the DMC, the World Mixing Championship of 1988, as the Dutch mixing champ he finished in third place -- this championship will go down in history as the best championship ever held. After the championship, he became famous as the producer of the group King Bee. The biggest hit was 'Back by dope demand', which rose to number three in the national charts. The hit received an (Edison) Award. The follow-up, 'Must bee the music' also ended high in the charts. 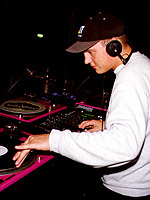 About six years later, after working with groups such as Snap and Capella, he produced a new King Bee number, 'Trip to India', featuring Eric Nouhan, and also produced the club hit 'They don't understand' by His Royal Freshness. 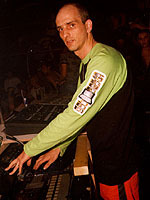 Guan Elmzoon remixed tracks such as Kellee, 'My Love', DJ Tonka 'Fleshback', Tany Louise 'Deep in your love' and the 1996 club hit 'It's gonna be alright' from Deepzone. The follow-up from Deepzone will also be remixed by DJ Guan. 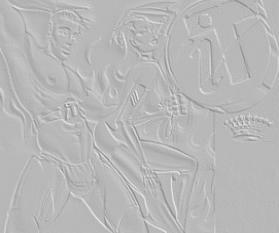 Future releases will include new King Bee, His Royal Freshness, DJ Guan featuring Sybill Jefferies (the lead singer from Deepzone) and Tyholden featuring Tempo O'Neil, 'You're my inspiration' (Remix). Guan's latest project is making the music for the movie 'Naar de Klote'. This movie will be released in November this year. So as you can see, Guan Elmzoon is a very busy bee. Be on line for more updates, or check him out every Sunday night at the iT. I've always been confronted with electronic (dance) music, such as: Kraftwerk, OMD, Depeche Mode, Yazoo, Human League and New Order. For me, these groups have been the forerunners and the inspiration for what would dominate the future: House (Acid, Techno en Garage). In 1990 I began mixing at home (as every DJ) and in 1992 with the pre-programme with Joost van Bellen on Fridays at the Roxy. One year later I was DJ at the Roxy on Saturday nights (Sweat). Since April 1996 I landed at the iT with my own Thursday nights. My playing style is a combination of beautiful, hard (Garage) grooves and soft, deep (Techno) grooves. This is all to be heard 'live' at the iT on the Thursday called 'The Feeling'. I've been working at the iT for the last fourteen months. Before the iT I was at the Carrera and La Xala and worked many parties (Royal Mellowdies, R&W Prod.). Many people think I'm working in the shadow of the DJ's, but in my opinion we are working as a team. If the DJ is having the time of his life, but the light is not okay, we can't build the party the way we want to. For creating the perfect atmosphere, the DJ's, LJ and the audience have to be in the mood. It's nice to see that with four completely different nights and three DJ's, the iT works time after time. So my message to you is, Listen with your eyes at the iT!